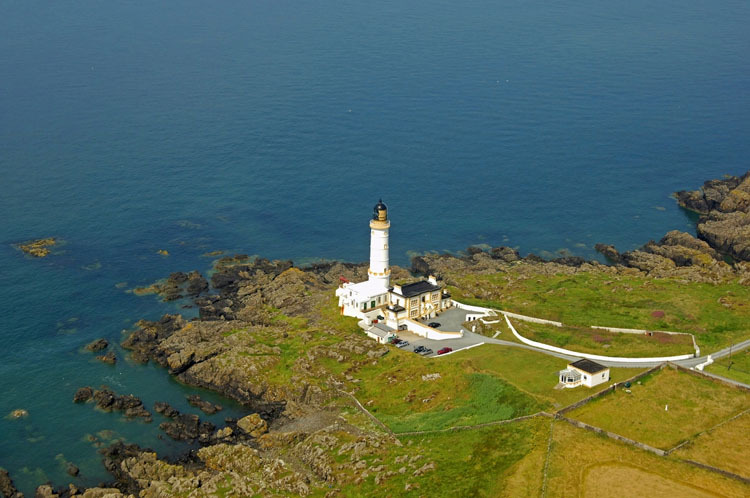 Corsewall Lighthouse is situated on the northern tip of the Rhins of Galloway. One definition of the name Corsewall is the place of the Cross. Another is the Well of the Cross, probably from the original name Corsewall. There are many cross names, Kross in Iceland, Corse and Cross is Orkney and similar names in Shetland. As far back as 1814 a Mr Kirkman Finley made an application to the Trade of Clyde for a light on Corsill Point. It was agreed, and the light came into operation in 1817. Shortly after the engineer reported that the Principal Keeper at Corsewall had fallen asleep while on duty, and that the revolving apparatus of the light had stopped for a certain period. He was then suspended from the keeping of the Corsewell light and was sent to the Bell Rock Lighthouse to act as assistant. In November 1970, Concorde flew over the lighthouse on a trial flight and quite a number of panes of glass were broken. Later flights overhead by Concorde did not result in any further damage. The Lighthouse was automated in 1994 and is still operated by the Northern Lighthouse Board. The Light is 112ft above water. However the lightkeepers accommodation was sold and is now a hotel, working lighthouse and hotel island location near Stranraer. 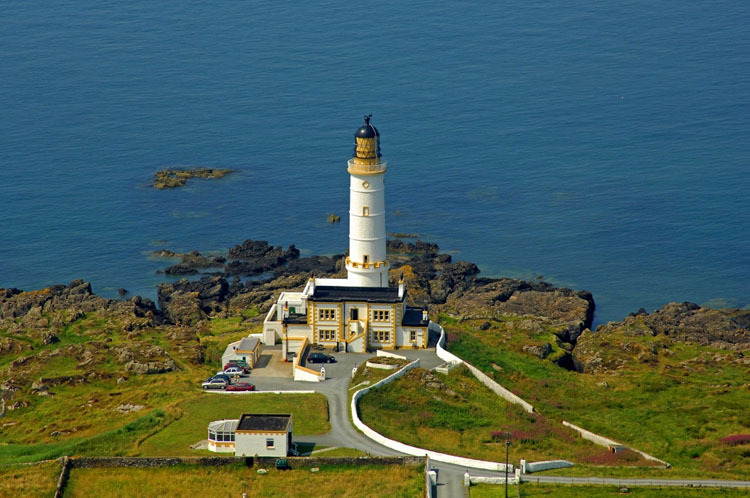 Nearby lighthouses are Killantringan Lighthouse, just 15 miles away and the Mull of Galloway Lighthouse. From Stranraer take the A718 to Kirkcolm and the the B738 to Corsewall and the lighthouse.